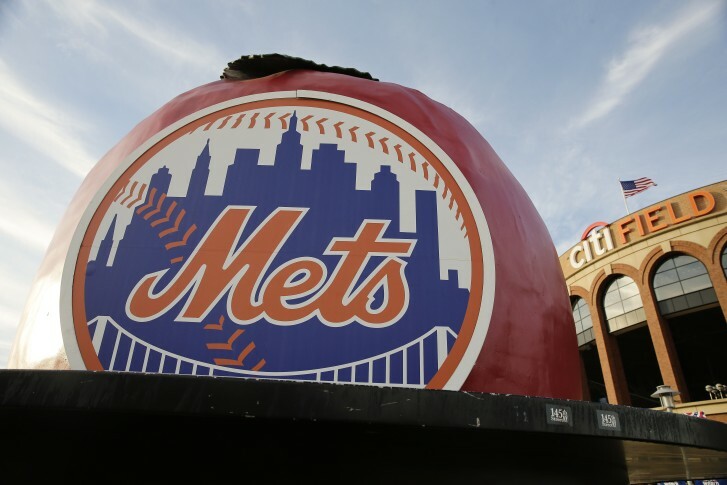 On Tuesday, the New York Mets hired former Olympic softball player and current ESPN broadcaster Jessica Mendoza as a baseball operations adviser. Despite her intention to continue working in both roles, this was presented as business as usual in baseball, and not a conflict of interest, by those who cover the game. As it turns out, it is hardly unprecedented. But Mendoza’s situation — and that of everyone else taking paychecks from two organizations with different priorities — is absolutely an issue that Major League Baseball should be concerned about. Let’s get a couple things out of the way. Mendoza is bright and understands the game at least as well as many of the retired MLB players given similar positions with other organizations. It’s a good thing that pro sports teams seem less and less restricted by traditional gender roles in their operational hiring. I have no doubt she’ll do just fine in her role with the Mets. She’s been just fine as a broadcaster on Sunday Night Baseball, despite what the misogynists will tell you. But her abilities aren’t the issue facing a multibillion dollar business such as Major League Baseball. According to the Mets, Mendoza’s new role with the team will see her involved in player evaluation and roster construction, among other things. That means her expertise and input will go into the calculus the team makes on personnel decisions, one that could very well impact what promises to be a tight NL East race. These arrangements do predate Mendoza. Alex Rodriguez, also a Sunday Night Baseball commentator, is an adviser with Yankees. David Ross, another retired player who has moved into the ESPN booth, is a special assistant with the Cubs. David Ortiz and Frank Thomas, who both do studio work for FOX Sports, both continue to work for the Red Sox and White Sox, respectively. But excusing her conflict of interest due to the fact that others also have one is, needless to say, both a disappointing and flawed argument. It’s akin to saying that Washington is already corrupt, so who cares if it becomes more so? Coming from a lobbyist, that’s one thing. Coming from journalists, it’s quite another. But that’s the thing — this isn’t about journalistic ethics as much as it is about business ethics. Whether or not the fans get the most authentic possible viewing experience from her commentary is far less important than what information Mendoza gleans that might help the Mets. After all, Mendoza isn’t really a journalist — she’s a commentator, functioning as more of a pundit. She’s paid to bring her expertise, but more so her opinion to the broadcast. And that’s where this all starts to get a bit murky. It’s worth understanding how the Sunday Night Baseball process works each week. The crew and hosts arrive no later than Saturday, all of which they spend doing their prep work for the following night’s broadcast. All the vignettes are shot then, all the nuggets of information which will later be disseminated on the broadcast gathered ahead of time, thanks to special, one-on-one access granted to the network’s talent, apart from the general media huddle. Imagine being another team in the NL East. Mendoza will get an inside look at both the Atlanta Braves and Philadelphia Phillies in the very first broadcast of the year, March 31. While many of the scheduled matchups remain open for now, she’ll see the Nationals at least once, May 19 when they host the Chicago Cubs. How would you feel, as Mike Rizzo or Davey Martinez, giving a rival team’s employee inside access to your clubhouse? There is, most certainly, information acquired during these sessions that never makes it on air. What if there is an advantage for the Mets in not revealing something publicly, but rather taking it back to the front office? Who’s to say how this information is used? Who would know, even, what was revealed, unless the player or coach being interviewed said something? These analysts don’t recuse themselves for assignments involving the teams that hire them. And it would be almost impossible for them to do so for games involving teams over which they might have some influence — since the advent of Interleague Play, everyone plays each other sooner or later. What about impending free agent stars whose contracts are set to expire? What about players for rival teams who are injured or inadvertently expose a weakness? How about potential trade targets as contenders — of which the Yankees, Red Sox, Cubs and Mets all at least hope to be — near the summer deadline? The fact that so much information is public now doesn’t mean that everything is, or that it should be. Teams pay premium money to fiercely safeguard the few secrets they have left that they can use to help give themselves a competitive advantage. Of course they do. That’s why former St. Louis Cardinals scouting director Chris Correa was sentenced to nearly four years in prison for hacking the Houston Astros. And now, less than three years after that judgment was handed down, MLB teams and ESPN/FOX have a handful of analysts on the payroll being asked to fairly serve two employers with very different motivations. It was only weeks ago that NBA power player Magic Johnson found himself running afoul of NBA tampering rules as a league executive from one team talking to players from another club. Why MLB would want to invite that potential scrutiny into its house, for what appears to be very little gain, is something the league ought to ask itself. It’s clear that neither the teams involved nor the broadcast networks are planning to do anything to stop it.